Full disclosure- I’ve known Kate through Twitter and blogging for a few years now. We finally met in person this past November, but we’ve been chatting for years. 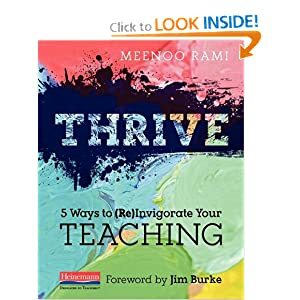 She taught 7th grade when I taught 6th grade and I was always amazed that she could be a real writer and continue to teach. She was a teacher-hero. 🙂 Now Kate is a lucky lady who gets to write full-time because her books are awesome! 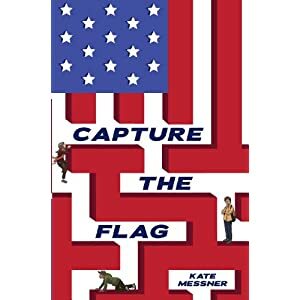 Capture the Flag is the perfect middle grade mystery but it also kept this adult intrigued. I’m a huge fan of the movie National Treasure and Capture the Flag is similar, but much more well-written! Kate Messner has crafted a fabulous trio of kids that read like kids I know. And the Jaguar Society? So cool! I want to be a part of the club! Not to mention, the history sprinkled throughout the story will keep readers interested and I think it will inspire a lot of readers to go out and do some more research on their own. Anna, José, and Henry are brought together at the airport in Washington, DC when all flights are cancelled due to a blizzard. They don’t know that their lives are connected until the Star-Spangled Banner is in the news after being stolen from the Smithsonian Museum. Anna, who is certainly a leader, decides that she is going to track down the thieves, who must also be stuck in the airport because of the snow. But it’s not that simple- accusations are lobbed at all kinds of people, the kids’ parents don’t want them wreaking havoc in the airport, and the flag is still missing! Capture the Flag– Fantastic MG mystery. I loved it! One for the Murphys– Get your tissues ready. Loved the connection to Wicked. The Tiger Rising by Kate DiCamillo– A Christmas gift from my baby sister, which came highly recommended. Salvage the Bones: A Novel– I am too much of a dog lover to be able to enjoy this book. I appreciate that it is well-written, but it left me feeling sick to my stomach. Warning: excessive focus on dog fighting. Sudden Flash Youth: 65 Short-Short Stories (Karen and Michael Braziller Books)– Looking forward to using this with my freshman next year. Some of the stories are really powerful! Mangaman– A student recommendation. Not my favorite, but enjoyable. I’m not a graphic novel reader, yet. Trafficked– So, so good. I love watching Law & Order: SVU, and this read like an episode of the show. The Polar Bear Scientists (Scientists in the Field Series)– I love this series so, so, so very much. I also got halfway through the e-galley of Rebecca Stead’s upcoming Liar & Spy. It was my “squeeze in some reading” book, because I try to avoid reading on my iphone unless I have to. But it’s so worth it! Update! It’s strange not dedicating the entire weekend to the challenge, but I’m happy with what I have done so far. I think with blogging/tweeting/cheering people on, I will just hit the 12 hour mark. I’ll be thrilled with that, considering I lost an entire day to previous commitments. I’m reading in hour-long increments now. So many distractions today! Had to take the dogs for a run/swim at the park. As always, I am participating in MotherReader’s 48 Hour Book Challenge. I have a busy weekend this time, with a wedding and a day spent down south, but I’m going to squeeze in as much reading time as I can. I plan to read in the car while driving, and hopefully spend a good deal of time reading tomorrow. My goal is 10 hours (so sad! Much lower than in the past!). I am pledging $2/hr to RIF for the challenge. 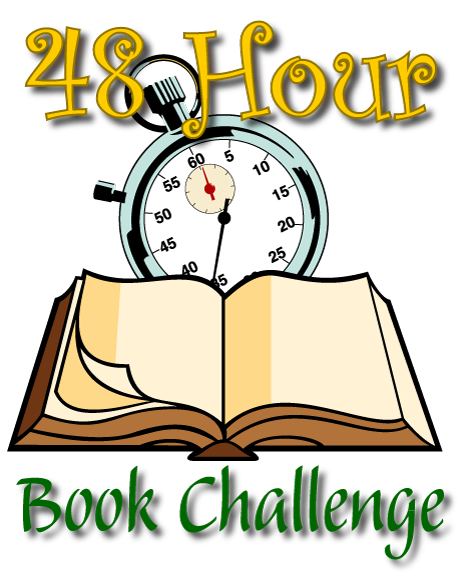 I love MotherReader’s 48 Hour Book Challenge! Total: 17 hours and 54 minutes! The Scorpio Races by Maggie Stiefvater- My favorite Maggie Stiefvater book. Water horses? Umph. I didn’t want this to end! The Fox Inheritance (The Jenna Fox Chronicles) by Mary Pearson- A fantastic follow-up. 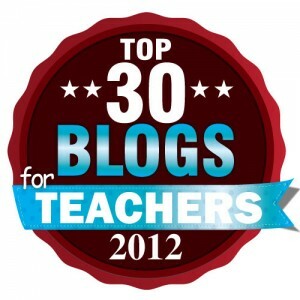 Can’t wait to share with my students, especially my students who are really into science/genetics. Beauty Queens by Libba Bray- I can not remember the last time I laughed this hard while reading a book. Fantastic and funny! The Pull of Gravity by Gae Polisner- Great contemporary YA that I think will be very popular with me freshman! A Monster Calls: Inspired by an idea from Siobhan Dowd by Patrick Ness- Oh, oh, oh. There are no words. Still wiping tears from my eyes. The Elephant Scientist (Scientists in the Field Series) by Donna M. Jackson- Another great addition to the Scientists in the Field series. Tropical Secrets: Holocaust Refugees in Cuba by Margarita Engle- Great verse novel. I learned a lot! Purple Daze by Sherry Shahan- Like a verse novel version of my favorite musical, Hair. Great for older teen readers. Liar, Liar: The Theory, Practice and Destructive Properties of Deception by Gary Paulsen- A book that will have you laughing out loud! Once Was Lost by Sara Zarr-A book that’s been on my TBR pile for ages. Why did I wait so long to read it?! Falling for Hamlet by Michelle Ray- Wow! I enjoyed this one a lot more than I ever expected to!